When Google announced turn-by-turn navigation for its Android operating system last week, the executives of sat-nav firms had to be talked down from high windowsills. But the tech isn't just bad news for sat-nav manufacturers. It's a sign of the coming Android invasion. Version 1 of Android was pretty good, but - crucially - it wasn't good enough to live up to the hype surrounding it. Android, it seemed, would kill the iPhone, monster Windows Mobile, cure cancer and bring your ancestors back from the dead. 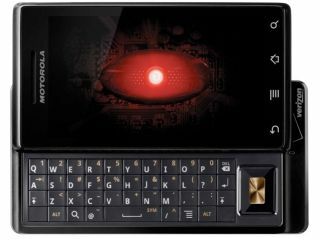 No handset could possibly live up to that hype, and the T-Mobile G1 didn't. Don't get us wrong, the G1 is a good phone - we gave it four and a half stars out of five and called it a "top performer" - but it wasn't the iPhone killer everyone was expecting. In many ways Android is a bit like Windows. The first version of Windows wasn't up to much, but Microsoft refined it, refined it, refined it a bit more and then used it to take over the Earth. Google's doing the same. It's developed a new version of the platform, it's been forging alliances with handset firms, and it's been working on gee-whiz features such as turn-by-turn navigation. Where Android initially launched with a single, good but not great handset, Android 2 is going to appear on stacks of seriously impressive devices. There's more to the story than phones, too. Barnes & Noble's Kindle rival is Android powered. We'll be amazed if Google doesn't sell Android to car firms for in-dash navigation systems. Archos is using it for its internet tablets. Asus is sticking it into netbooks. NEC has an Android tablet in development that it reckons will sell 200,000 units a year. And so on. Google's Android army already includes most of the major phone firms and plenty of PC manufacturers, and the devices we already know about are going to make an enormous difference to Android's global market share. The hype over Android wasn't wrong; it was just several months premature. Make no mistake, unless the entire planet suddenly falls out with Google then Android is going to be a very big deal.